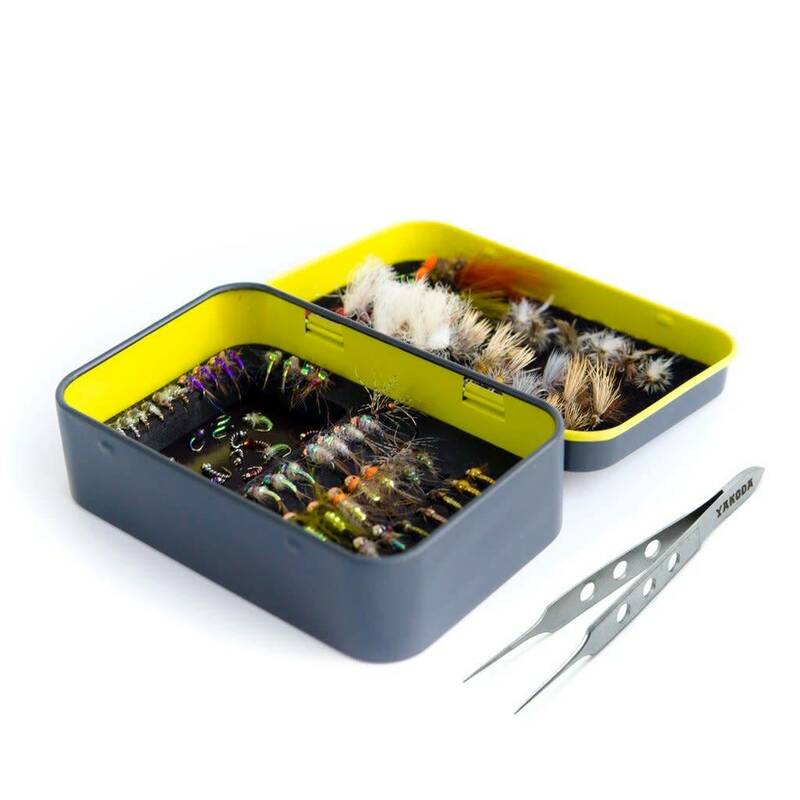 Small and lightweight, the Fly Tin is ready to be outfitted for your next trip—as a creek kit, loaded with tailwater favorites, a hand-picked selection for high alpine lakes, or stacked with the stuff that works on your home waters. Plenty of room for bushy dries inside the lid, 23 small to medium-sized nymphs or dries on the foam and micro midges in the magnet tray. Handle the tiny flies in your tin with ease. Our Tactical Tweezers are made of surgical-grade stainless steel, and can be secured in the loop material in the lid of the tin when not in use. Engraved with the Yakoda logo on both sides.